A new Leamington café is bringing the best of Japanese home cooking to Warwickshire thanks to the culinary skills of owners and managers Nana Hirayama and Mary-Jane Bond. 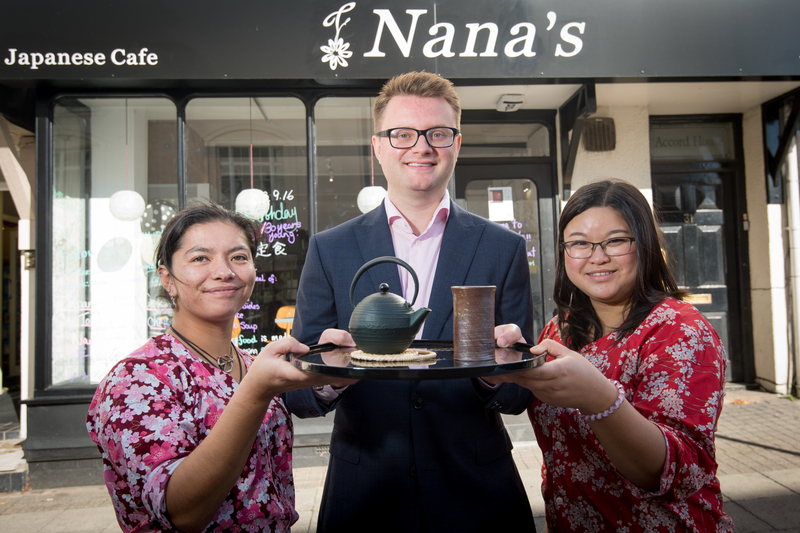 Nana’s Japanese Café has been open for less than a month but business at the Regent Street eatery is already booming. The 647 sq ft café, which was secured by Leamington-based estate agency ehB Commerical, opens 11am-3pm Monday to Saturday, and provides traditional Japanese dishes with a modern flair. Mary-Jane said: “Nana is originally from Tokyo and I’m from Nagoya so we both have a great deal of knowledge when it comes to Japanese cooking. “We wanted to offer our diners dishes which they could expect if they visited us in a Japanese home, so we created a menu with recipes which have been passed down by our families, alongside western dishes with an oriental flair. Nana and Mary-Jane both live in the Cotswolds but make the daily commute to Leamington due to their love of the town.